The Soloist Series IP400 extra hard yarn marimba mallets bring together quality material and construction you can rely on to help perfect your playing. 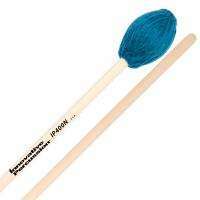 The 100% wool yarn creates pleasant tones in the low ranges of marimbas. These mallets are the same as the IP400 but with natural birch shafts.